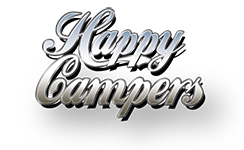 The Happy Campers Weekender 2 berth is the perfect campervan for daily use, weekends away and short trips with the family. 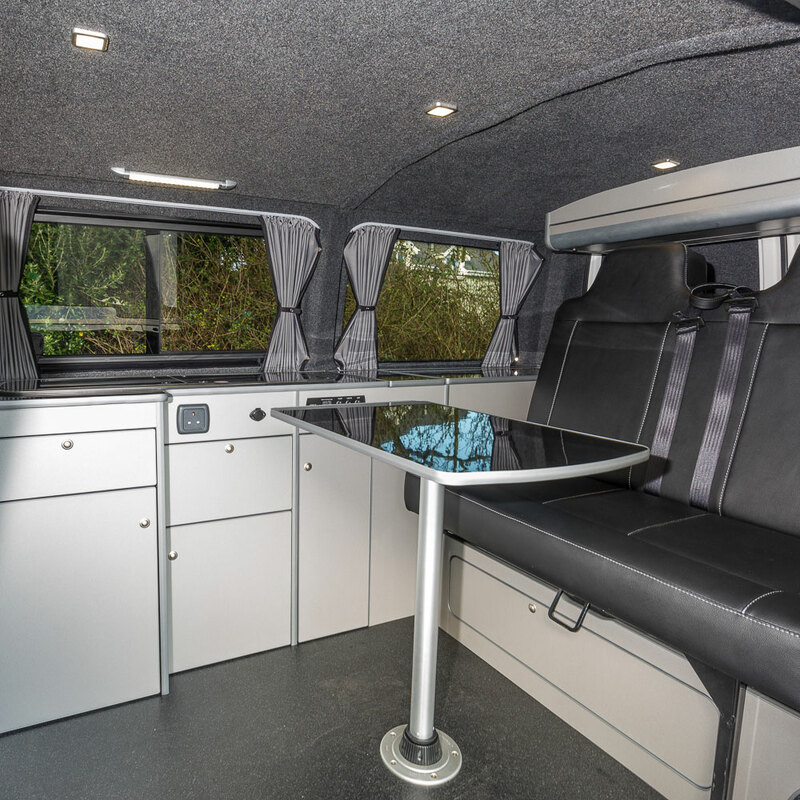 Whether you are interested in camping, walking, surfing, cycling or simply getting away from it all, this beautifully finished camper interior is equipped with everything you need for comfortable and self-sufficient living. 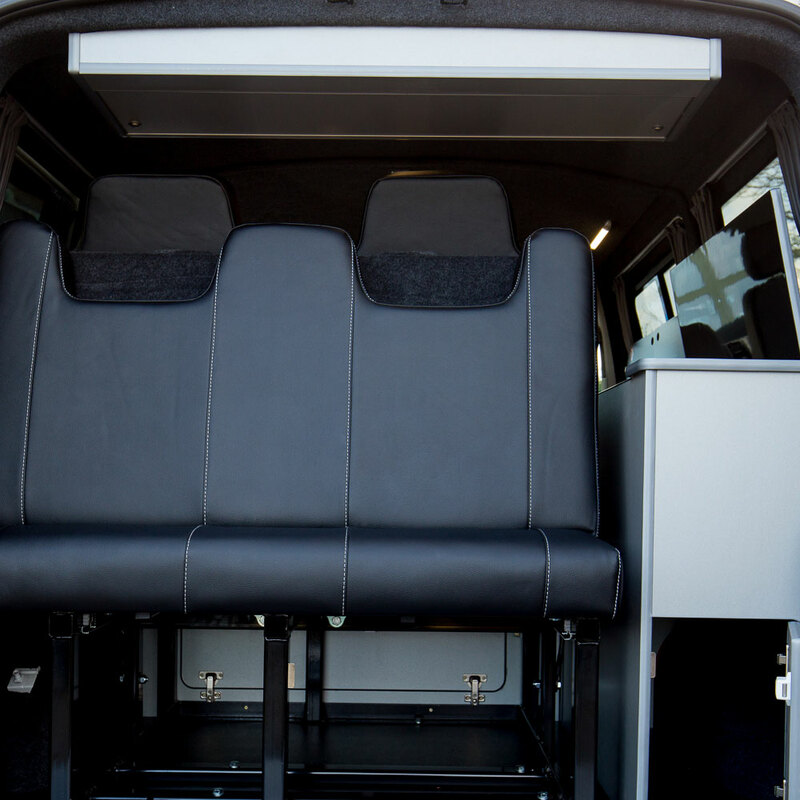 The Weekender model retains the original roof height. 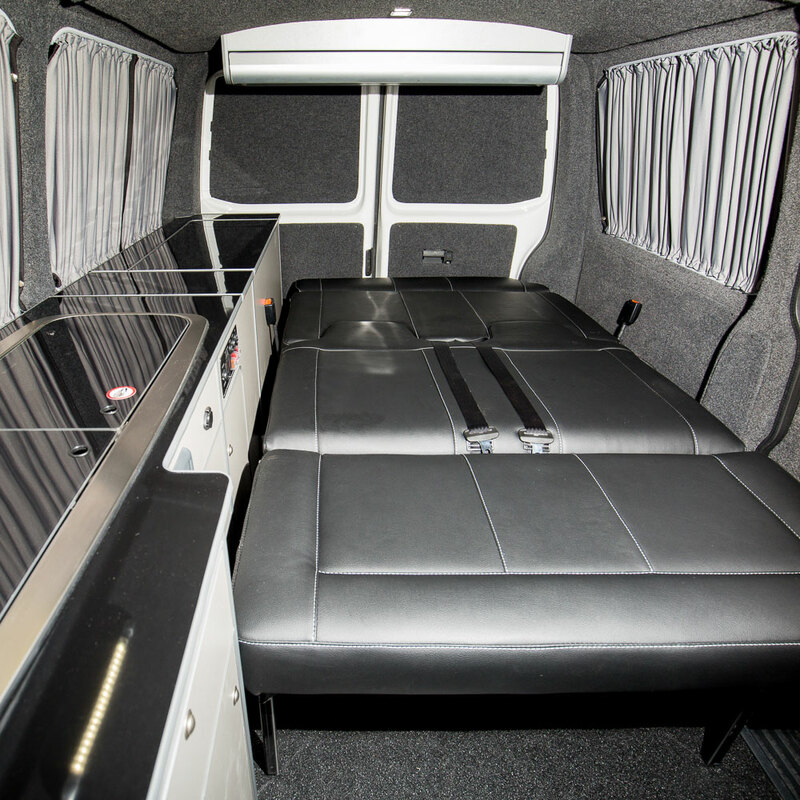 The installation of an M1 Pull Tested Bed with 2 seat belts means that you can carry up to 5 passengers and you can sleep 2 people inside the camper. 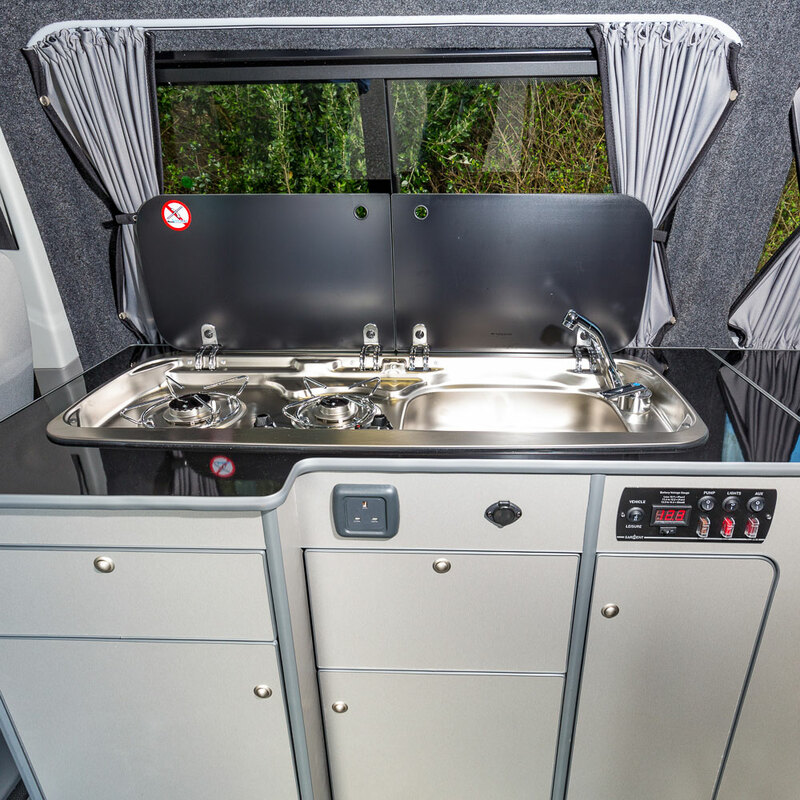 If you need additional space for sleeping, relaxing or storage then a drive-away awning can easily be added to the vehicle.